Update your autumn wardrobe with some print this season. 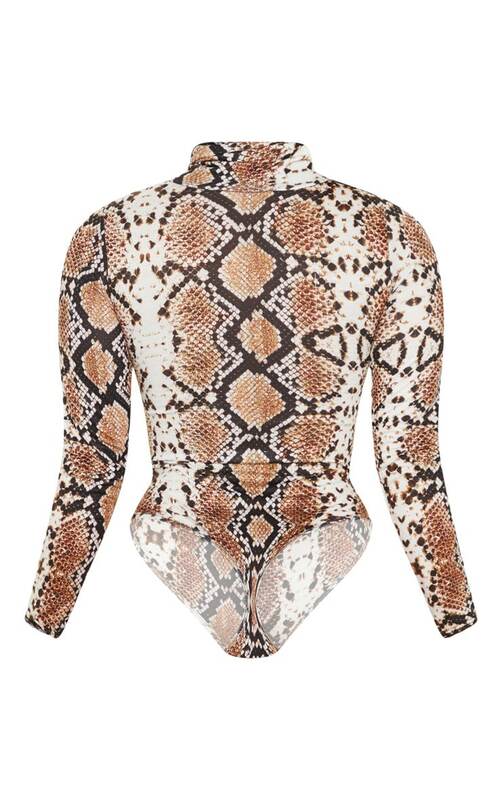 Featuring a tan snake print design material with a roll neck and a popper fastening. Team this with the matching bottoms and court shoes for an off-duty look are loving.